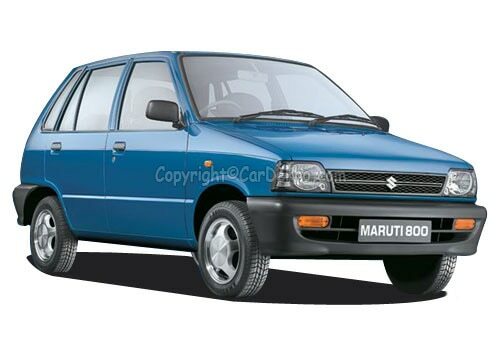 It was way back in the 80's when Maruti launched its 'Magnum-Opus' vehicle, the Maruti 800, which instantly became the real hearthrob of the entire nation. Unambigously, it worked wonders for Maruti and made it a household name; even it was the first choice of every individual, such is the unmatched aura of this small hatchback from Maruti. But to everyone's despair, Maruti has decided to stall its production. This halt in production isn't really a surprising move as Maruti has already stopped selling 800 in as many as 13 cities such as Hyderabad, Bangalore, Kanpur, Pune etc. The reasons behind phasing out this glorious car seem to be the preference of people for feature rich cars, low sales, and most importantly, not offering any kind of competition. Last Maruti car was rolled out on the 18th January from the Gurgaon manufacturing unit of Maruti. Maruti 800, while launched in 1983, was priced at Rs. 50,000 only while its current price is Rs. 2.35 Lakhs, on the official Maruti website. Maruti, following its custom, would keep its spare parts available across all the service stations for the next 8-10 years for the sake of convenience and comfort of its exisitng Maruti 800 clients. Maruti sold an unparallel 2.5 million units of this iconic car, eversince its inception about three decades ago. No matter its gone now; but it would always be alive in the heart of every Indian.